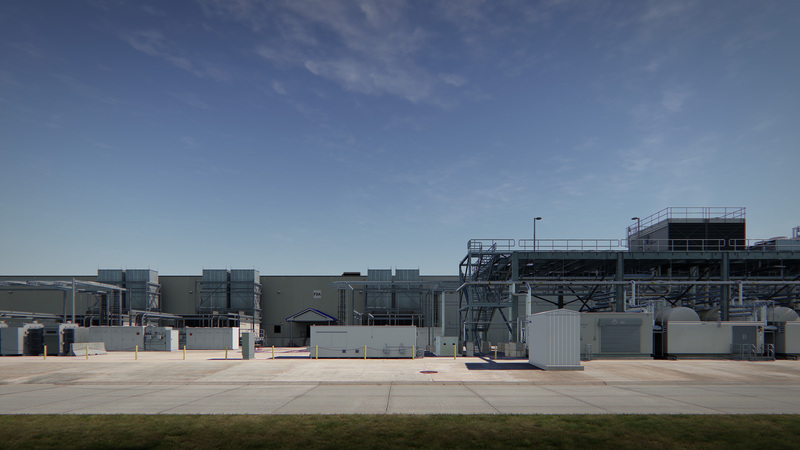 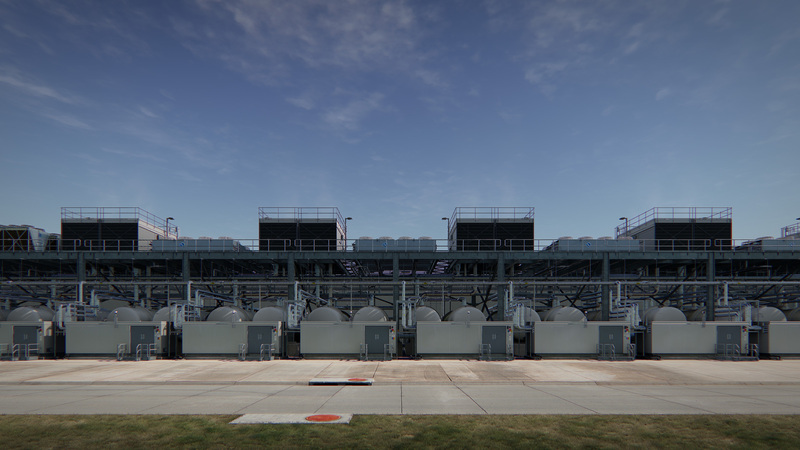 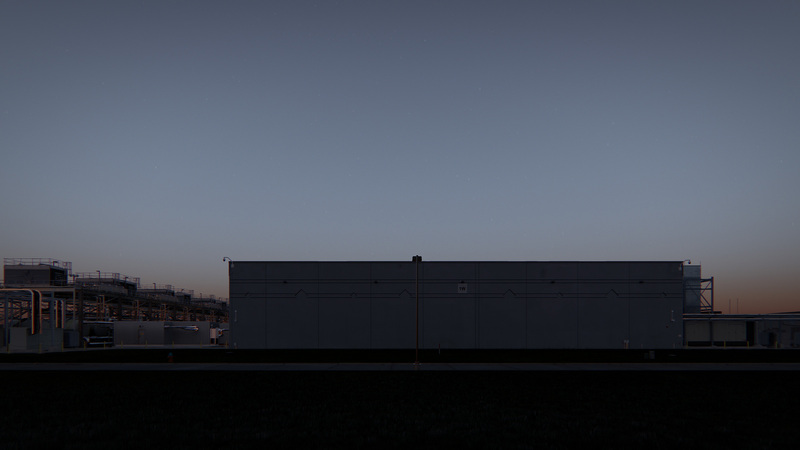 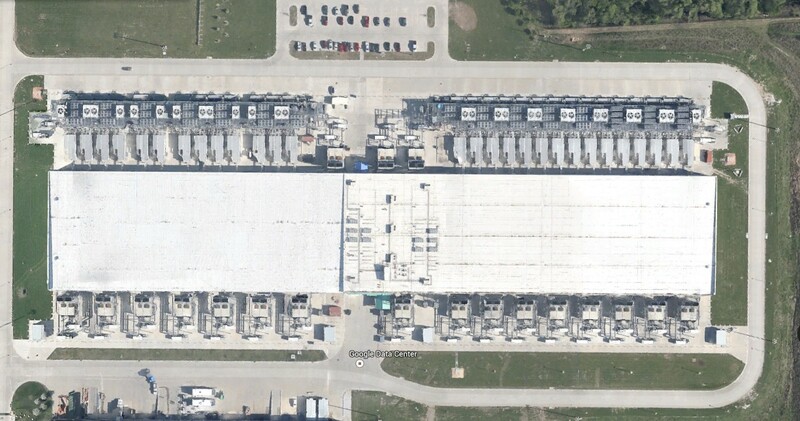 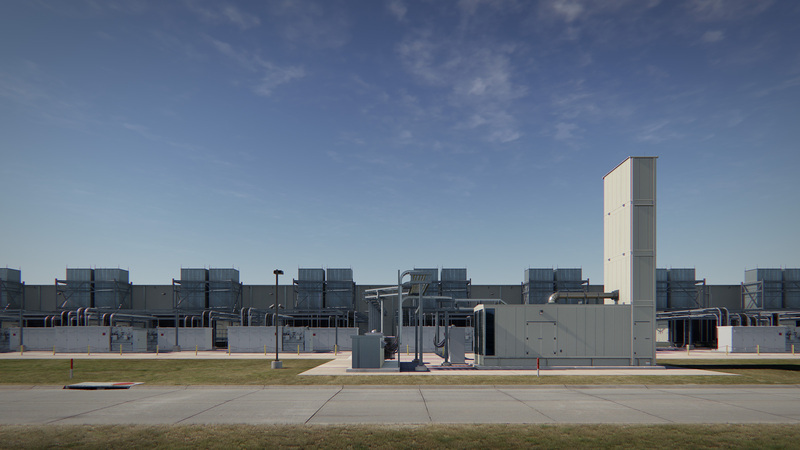 A simulated portrait of a major data centre in the US forms the central motif of the work - joining an earlier portrait of a server building in Oklahoma titled Farm (Pryor Creek, Oklahoma). 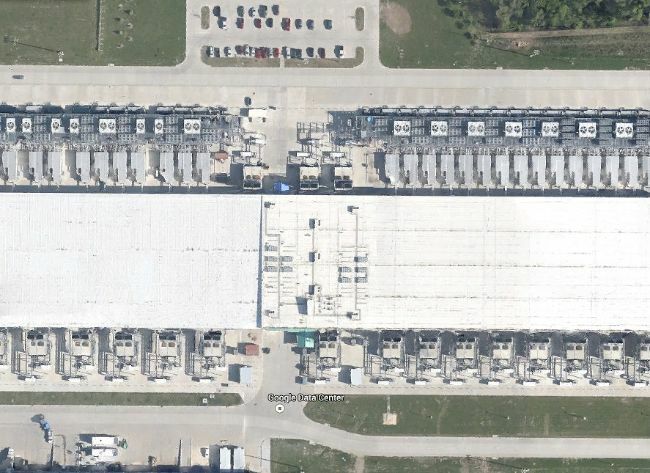 The building, which houses many thousands of internet servers was created by the Google company and processes a significant portion of the global information load. Working with a team of modellers and technicians the visually and conceptually intricate structure is remade by hand as a hyper realistic simulated world. 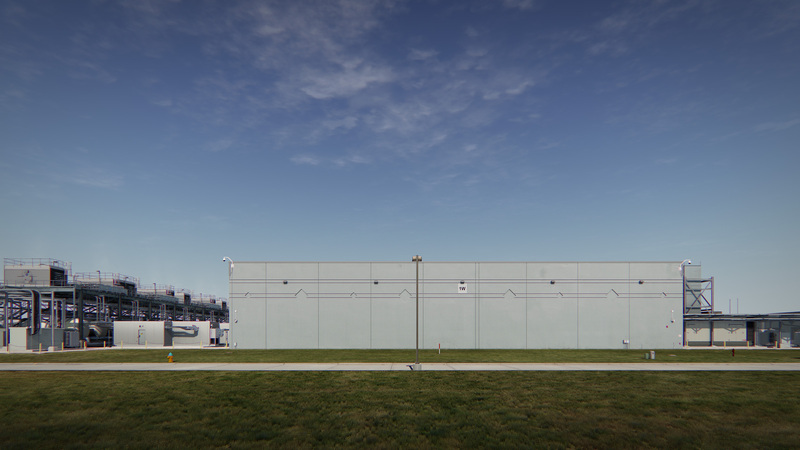 Animated through the use of a gaming engine the building shifts from a physical reality to a model. 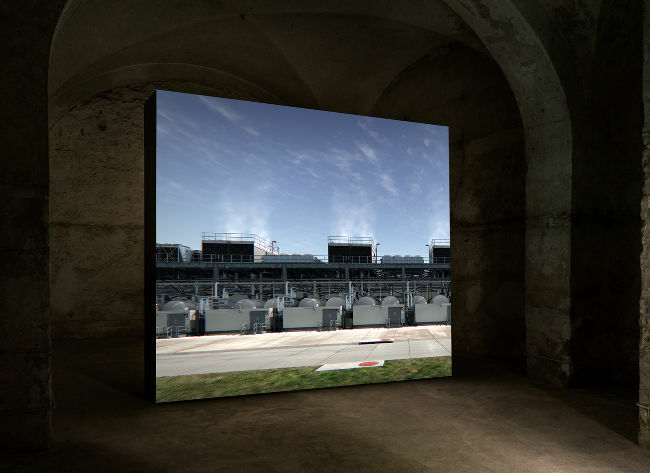 The camera in the resultant world moves profoundly slowly, both revealing and appearing to scan the site. 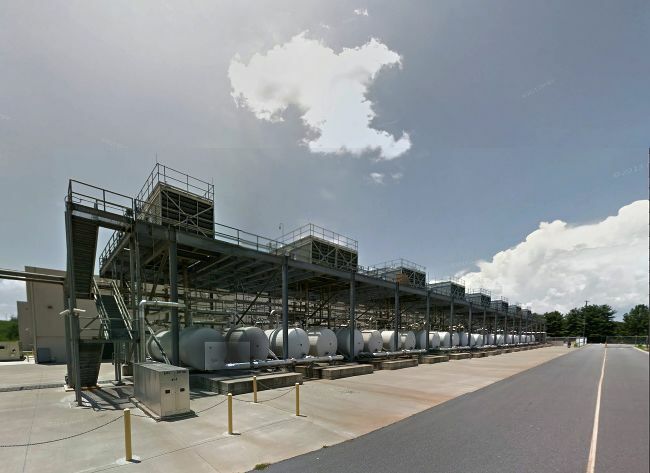 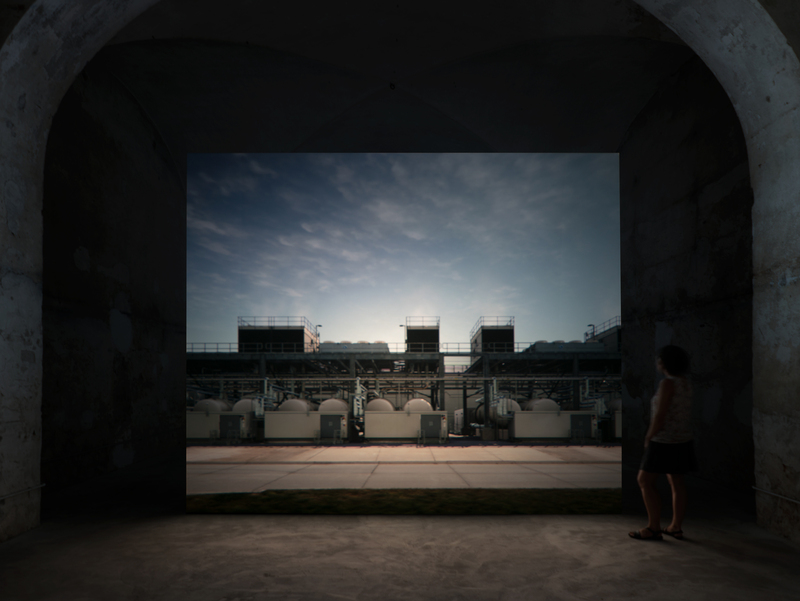 On one side of the building one finds banks of diesel generators – running continuously, rooting the scene in the wider petroleum economy, on the other side banks of powerful cooling towers. 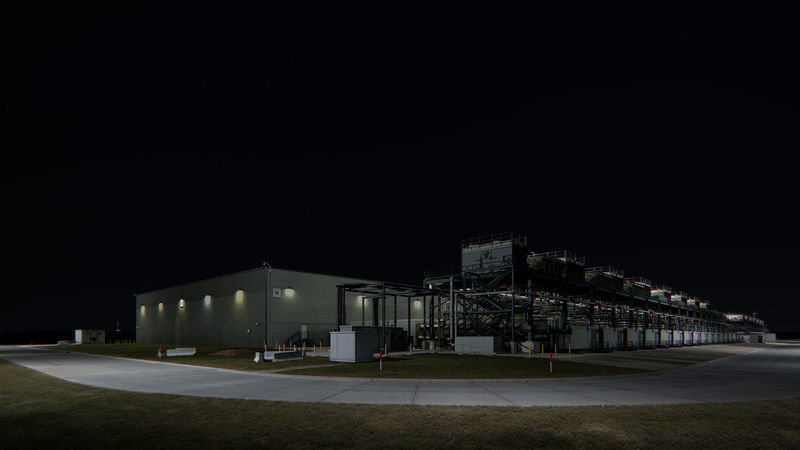 Lights flood the scene at night. 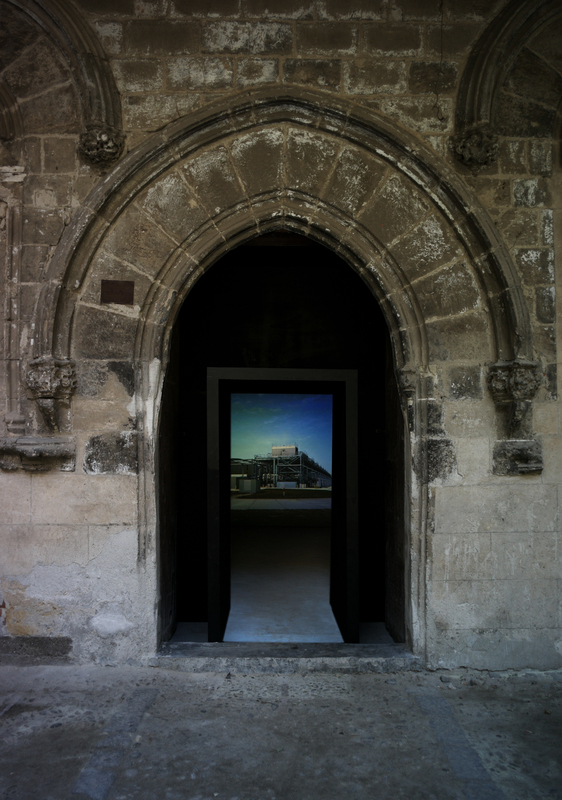 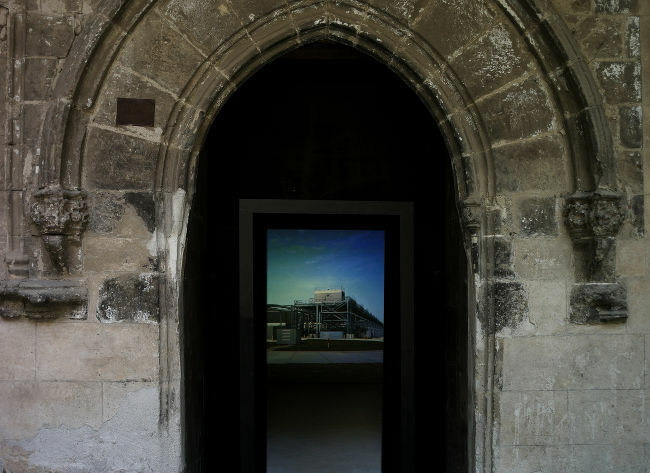 As is typical in these works the building is placed in a secondary light orbit of a year, allowing night and day to travel over the portrait across an annual cycle. 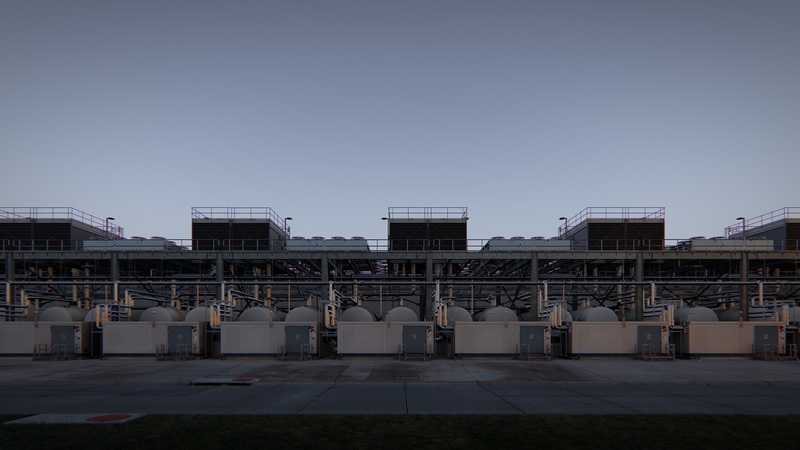 Extending the artists series 'Grow Finish Units' which consists of portraits within simulated space of visually similar pork production units on the mid-western landscape, 'Farm (Council Bluffs, Iowa) 2015' continues a long standing project of documenting what the artist describes as 'energetic' realities toward an analysis of contemporary power and contemporary life. 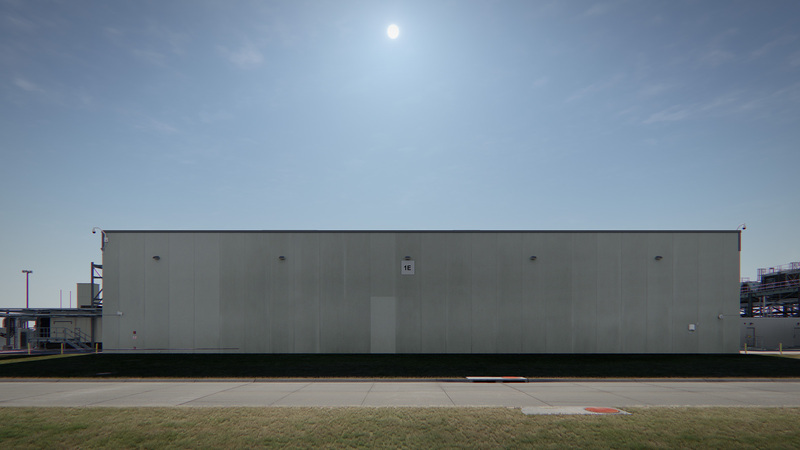 A new commission for Manifesta by John Gerrard Untitled (near Parndorf, Austria) 2018 will be installed alongside Farm (Council Bluffs, Iowa) 2015.